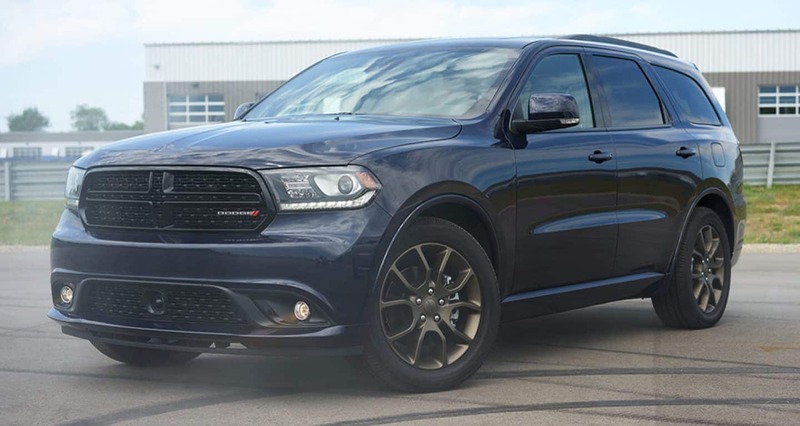 A powerful family-mover that combines third-row SUV utility with Dodge's iconic muscle car styling, the 2018 Durango is unique among its segment. With a sporty an aggressive exterior, family friendly features like third-row seating and an available rear seat entertainment system, and the introduction of the ultra-powerful SRT model, there's sure to be something in the 2018 Dodge Durango for everyone. What kind of power and handling can I expect from the 2018 Dodge Durango? Two capable engines make up the powertrain lineup for the bulk of 2018 Durangos (with an additional engine offered for the SRT model). An award-winning 3.6-liter Pentastar V6 offers 295 horsepower and 260 pound-feet of torque, and comes standard on base trims, while an optional upgrade to a 5.7-liter HEMI V8 is available. The 5.7-liter HEMI puts out 360 horsepower and 390 lb-ft of torque, and offers a best-in-class tow capacity of up to 7,400 pounds. Both engines are paired with a standard electronic eight-speed automatic transmission with a Rotary E-shift dial and steering wheel mounted paddle shifters. Standard rear-wheel-drive helps propel the formidable SUV, while available all-wheel-drive leverages the vehicle's weight and provides enhanced traction and handling. Features like Electronic Stability Control, All-Speed Traction Control, and Electronic Roll Mitigation allow drivers to maneuver the Durango with confidence. 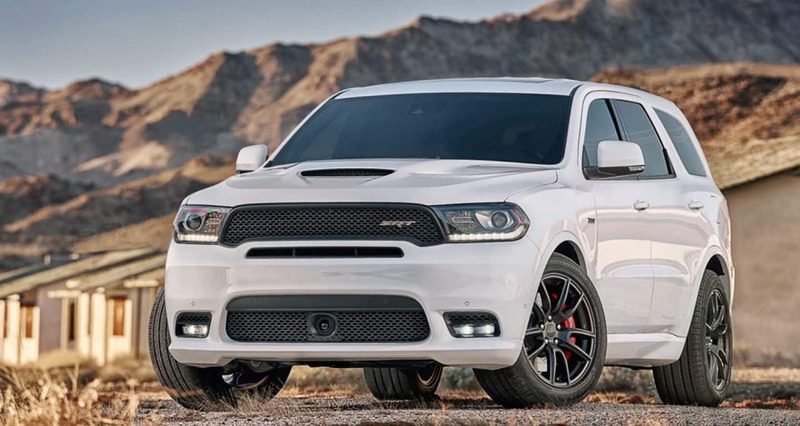 What are the features of the new Durango SRT? New for 2018, the Durango SRT is built for ultimate power and performance. The SRT is driven by a 392-cubic-inch 6.4-liter HEMI V8, which puts out 475 horsepower and 470 lb-ft of torque. This engine launches the Durango SRT into some incredible stats, including a 4.4 second zero to sixty acceleration. The SRT is noted as the most powerful and capable three-row SUV on the market, and, when properly equipped, can tow up to 8,600 pounds. 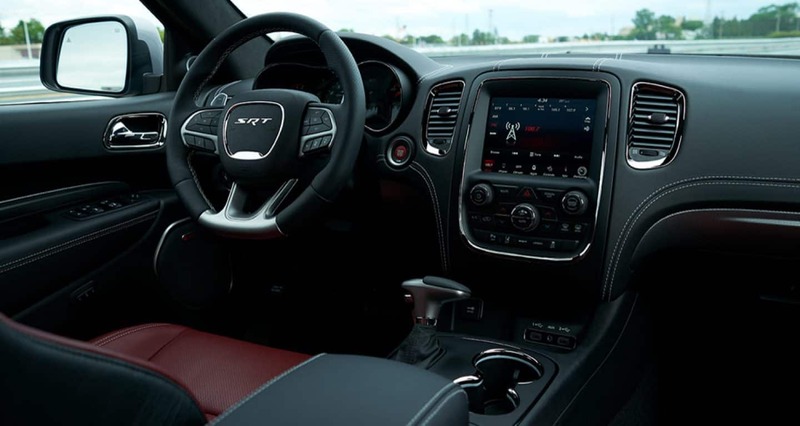 The SRT also comes standard with many features that are available with higher trims of the regular Durango, including all-wheel-drive, second-row captain's chairs, and a wide-body exterior design. Unique design features of the SRT include standard leather and suede upholstery, available in Demonic Red, carbon fiber interior trim, and a functional hood featuring an air inlet duct and heat extractors. 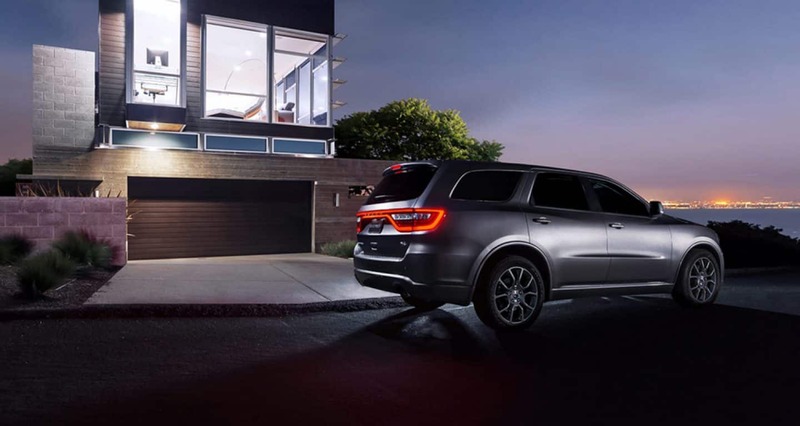 What kind of tech features are available with the Dodge Durango? A wide variety of technology features are available for the 2018 Durango, allowing for superior safety, driver information, and passenger entertainment. A standard rearview camera starts off the Durango's safety-oriented tech lineup, with available forward collision warning with crash mitigation, adaptive cruise control with stop, rear cross path detection, blind-spot monitoring and Uconnect access with 9-1-1 and roadside assistance adding even more peace of mind for drivers and families hitting the road in this well-equipped SUV. Uconnect safety features, as well as other Uconnect infotainment applications, can be accessed through a standard 7-inch touchscreen interface, or an upgraded 8.4-inch screen. The 8.4-inch interface comes standard on all trims above R/T (and available on the GT), and comes with Apple CarPlay and Android Auto. 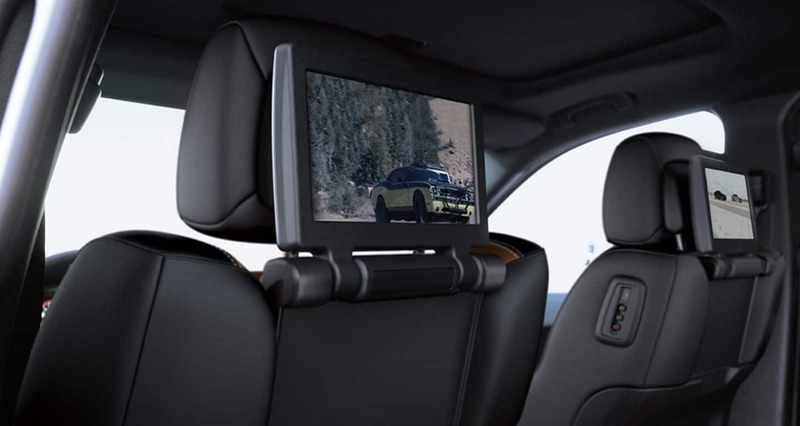 For passenger entertainment, a rear seat Blu-ray entertainment system is available, complete with two nine-inch, high-resolution seatback screens, HDMI and RCA inputs, and wireless headphones. For a capable SUV that doesn't sacrifice sporty style, the 2018 Dodge Durango is the way to go. Three-row seating, comprehensive safety technology, and a variety of entertainment features make the Durango the kind of vehicle you can feel confident and comfortable loading your family into and hitting the road, while powerful engine choices and aggressive, performance-inspired design sets this family-mover apart from the minivans and station wagons joining it in the carpool lane.